Today India stands at the precipice of a cultural and religious breakdown. Yes, we do have religious fanatics who wish to polarise the nation on communal basis. But let’s focus on the other half. People do not know about the rich history of India or even its deep mythological history. Amish has single handily changed this paradigm. Using an unique factor of narrating the tale of Shiva by bringing him to life in the ancient Indus civilisation, Amish’s Shiva Trilogy has brought an entire reading generation into a brilliant world. This 565 paged novel is Amish’s third and final part of the Shiva Trilogy. The first two parts, The Immortals of Meluha and The Secrets of Naga where blockbusters and were amazing reads. Unfortunately I didn’t review them but yes, they were pretty good. The basic story(for those who are uninitiated) is that Amish has taken the concept of Shiva as a God in the context that he was an unbelievable human being thousands of years ago, and today, his superhuman deeds are regarded as godly in nature. 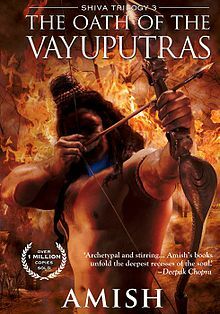 Oath of Vayuputras starts off from the cliff hanger Amish left us with at the end of book 2.The book doesn’t disappoint, as the pace continues. All characters seemingly have their own hidden little agendas as they fight what they deem to be evil. Add in a strict adherence to morals, principles and analogous rules, the book shows a world that punishes yet rewards, and keeps you gripped. I won’t give away the plot though I’ll tell you the small little things whose presence or lack thereof disappointed me slightly. Firstly, modification of certain established mythical stories. Although the statement itself sounds very redundant, the truth is that after so many years, people are used to a general version of the story in question. Any departure from it, even in a work of fiction, makes me slightly uncomfortable. Another factor that ticked me off was that the book had an idealistic tone for a major part of the narration, which just doesn’t add up to plot which is near reality. To sum it up, yes there are very tiny, almost microscopic issues with the book, but overall, it’s a must-read. In fact, I would recommend the entire trilogy to you. Read it, discover Lord Shiva and through him, a new generation of Indian fiction. 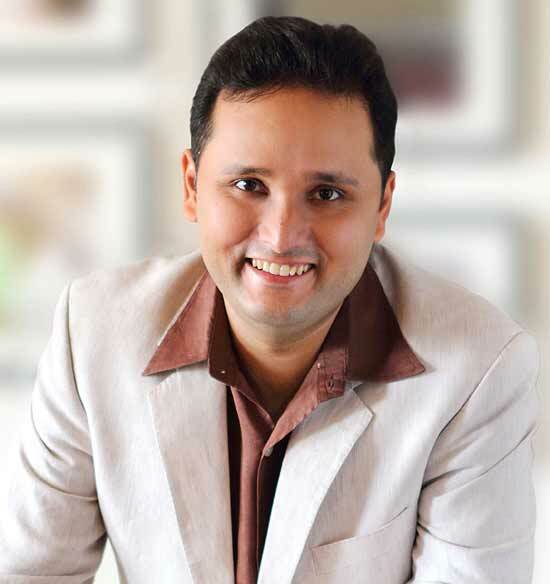 This entry was posted in Amish Tripathi, Book, Book Review, Meluha, Nagas, Oath of Vayuputras, Shiva, Shiva Trilogy.